Saturday January 9th is the 2nd annual Sport Chek National Ski Day presented by CIBC, in support of Canadian National Ski Teams from Coast to Coast. To celebrate, select ski resorts across the country will be offering $15 lift tickets! Tickets are on sale until Friday, January 8, 2016 at 11:30pm MST. A list of participating resorts and to purchase your discounted pass head on over to the Alpine Canada website. 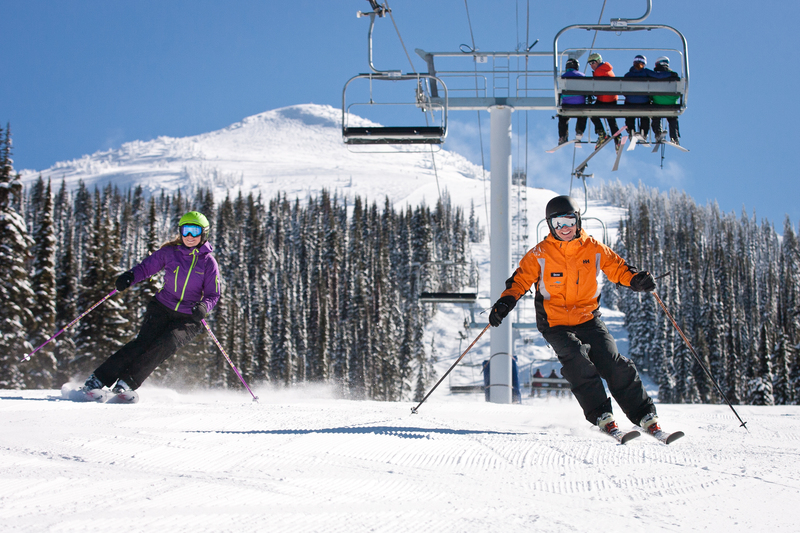 This ski season has been a bumper year for British Columbia ski hills. Record amounts of snowfall have meant many hills opened early and are experiencing outstanding early season conditions. If you’re planning on hitting the slopes this weekend to celebrate National Ski Day, here are our top pics around BC. Nakiska is participating in Alpine Canada’s $15 lift ticket promotion, and as part of National Ski Day will also have a special sale in the Sports Alpine Retail Boutique – 25% off all mid layers, hoodies, fleece and sweaters (Saturday only) means that you really have no excuse to not hit the hill. While Nakiska isn’t in BC, this hidden gem was too good to leave off the list. 3 lifts and 1 magic carpet give you access to 44 open runs plus the Rail Park and Public Cross Course. Full Snow Report is available here, or download their new App available for free in the App Store for up to date Snow Reports at the touch of your fingers. Last year we gave you 6 reasons to put Big White on your Family Vacation Bucket List, and this year we’re adding even more! Big White was the first BC ski hill to open this year and has seen a cumulative snowfall of 450 centimeters! Home of Okanagan Champagne Powder, Big White boasts 100% all-natural snow – famous for being light, dry and fluffy. Big White has no shortage of hot deals to make a weekend vacation both budget friendly and fun! With 100% of the hill currently open this means skiers and riders can experience 8,171 acres of Whistler Blackcomb‘s skiable terrain. Take the PEAK 2 PEAK gondola from one mountain to another and experience this world record breaking engineering marvel. 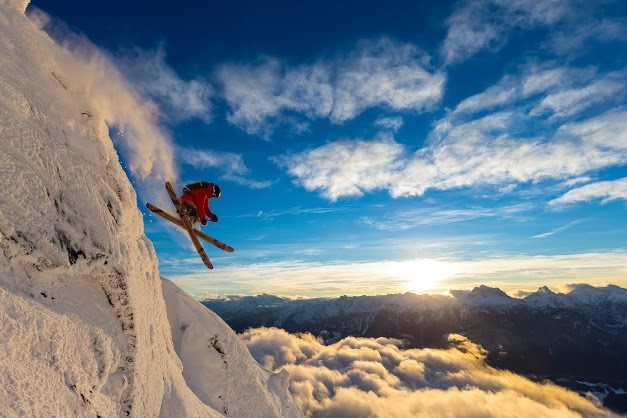 Check out what’s new at Whistler Blackcomb this year to make sure you don’t miss a thing! Back for its fifth consecutive year, the Whistler Blackcomb Snow School’s wildly popular Never Ever Days are taking January 9 and 10. Open to 450 beginner adult skiers and riders (ages 19 and up), the program includes a one day Max4 lesson, lift ticket, ski or board rental, and après at the Garibaldi Lift Company (GLC) for only $25. If adrenaline is what you’re seeking this National Ski Day, you’ll be pleased to know that Revy has opened an all-new terrain park! Nearly 11 acres, over 20 jib features and a range of jumps that will be expanded over the season, this full-size progression park will appeal to a wide range of ages and abilities. Leave your selfie stick at home – The new Paparazzi Pass uses HD video cameras spread across the mountain to capture your best lines! Download the Paparazzi app and your smart phone will automatically film your action from the day! A short 30 minute drive from Penticton, BC, Apex is a full service destination known for its amazing powder, incredible terrain, and friendly people. With a base of 161 cms and growing these are the best conditions in over a decade for this time of year! You’re without a doubt in for a great time. For an up-to-date snow report check out their website. Currently rated #3 for snow depth in North America by snowbrains.com, skiers and riders can enjoy the over 16 feet of snow that has fallen so far this season! Open until 10pm every evening means you get the most bang for your buck at Cypress. BONUS: 2014/2015 Gold Cards are valid for the current season! If you still have your Gold Card from last year bring it up the hill for 20% lift tickets as well as select discounts in the retail shop. Panorama is also one of the participating ski hills in this years Alpine Canada $15 lift ticket promotion, as part of National Ski Day. I told you last year how Panorama is a family getaway to discover, and we still stand by that claim! One of North America’s Top 10 verticals, a brilliant climate and Canada’s largest outdoor on-hill hot pools, at Panorama “there’s more to the mountains!” 10 of 10 lifts are in operation with access to an amazing 119 trails. 258 cms at the summit so far this season means you’re in for some serious fun! To kick off this epic ski weekend, I’ve partnered with Nakiska to offer one lucky reader a 4 pack of lift tickets for a date of their choice during the 2015/2016 season! Where’s your favourite ski resort? Did it make this list? I love skiing at Revelstoke Mountain Resort, it is a destination we enjoy usually every winter.Lots of fun and great scenery. I love Kimberley, but would want to try out Revelstoke as many friends have raved about how beautiful it is!